In this economy you don’t have time to wait for laughs, so Blue Shift cut out all the middle fluff, of black-outs, props, or even exiting the stage so you can get your sketches faster! ¡Accelerando! 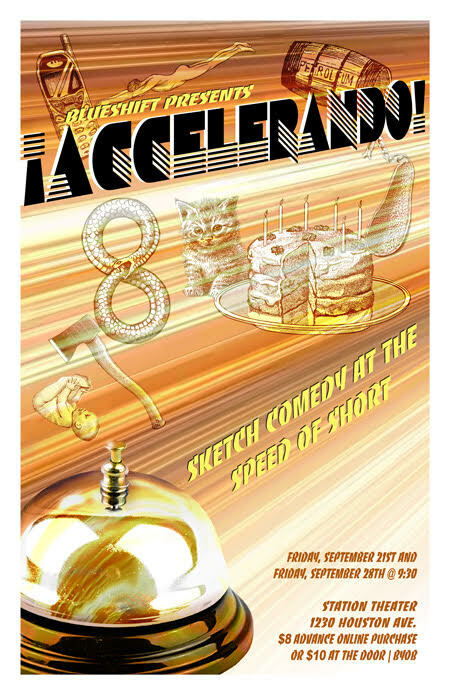 presents roughly eighteen fast-paced sketches with no thinking time in-between, from the ridiculous to the poignant the show is full of excitement.